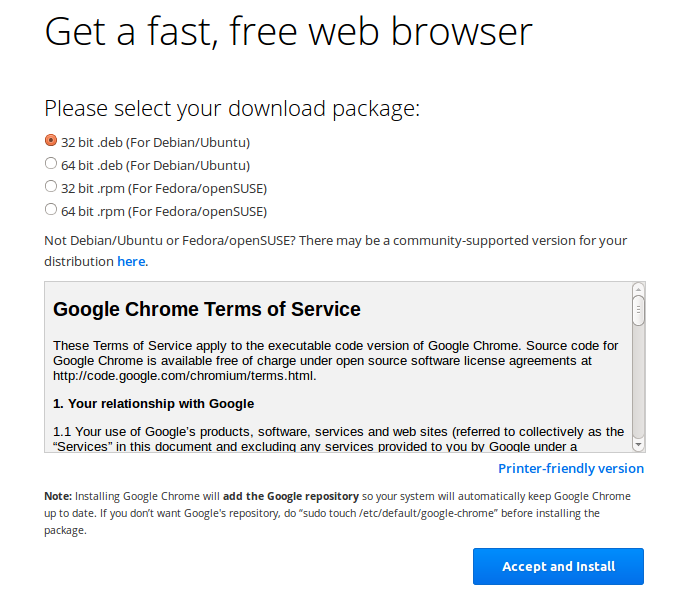 Open Source For Geeks: How to install Google chrome on Ubuntu ? As we all know Firefox is by default the browser that comes with Ubuntu. However there are many users who prefer Chrome over Firefox. So in this post I am going to show how do we do that. You will see download option. Click on it. The download site will automatically detect your operating system and provide download options accordingly. Select which package you need. Use .deb package for debian based systems and .rmp for fedora and similar distributions. Also choose 32/64 bit based on your system configuration. You can use uname -a command to see the details. 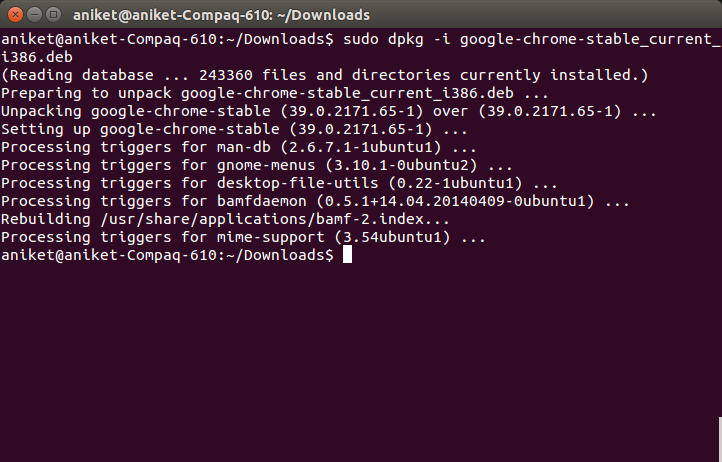 After you download it use dpkg command to install the package. For fedora you will have to use yum command. and re run the command in step 4. And chrome should be installed on your system. If there are error in step 3 run sudo apt-get -f install and re run step 3. 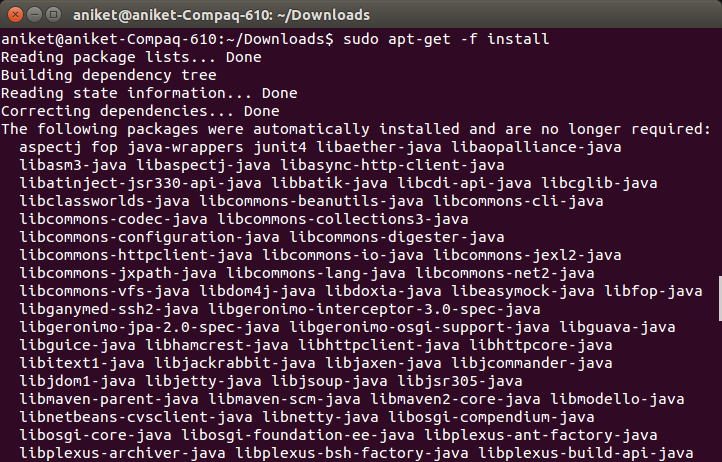 Note : -f option in apt-get is essentially to fix missing dependencies. Note : Google chrome is not the same as Chromium browser that you find in Ubuntu repositories (Ubuntu Software center). For starters Chromium is open source while Google chrome is not. For more details you can read the Wiki about Chromium browser. Chromium is the open-source web browser project from which Google Chrome draws its source code. 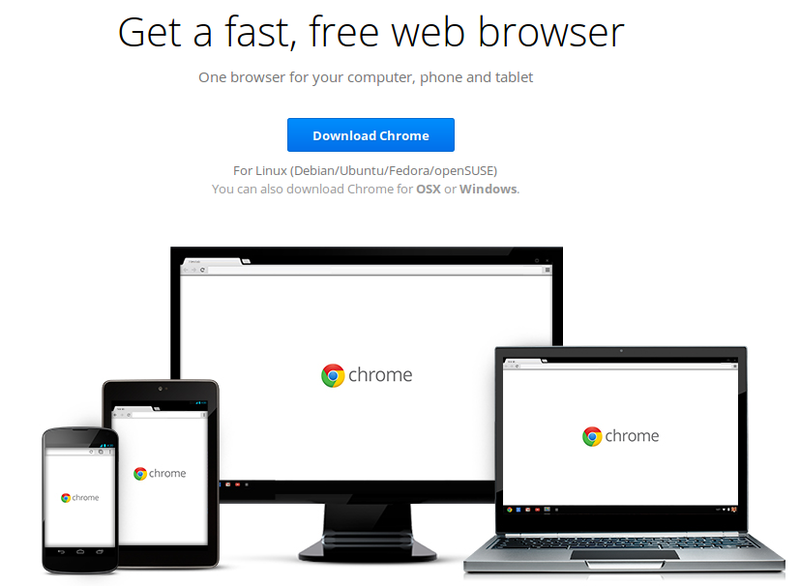 How do you install Google Chrome on Ubuntu 14.04? What's the difference between Google Chrome and/or Chromium? What are the advantages/disadvantages to each?